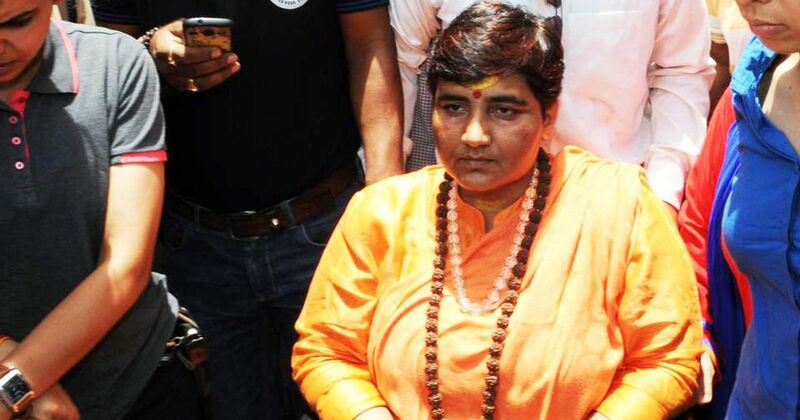 Malegaon blast case accused Pragya Singh Thakur has been named the BJP’s candidate in Bhopal. She will contest the elections against Congress leader Digvijaya Singh. Mehbooba Mufti criticised the BJP for its decision to field Thakur. The Madras High Court upheld the Election Commission of India’s decision to cancel the Lok Sabha election in Vellore. The BJP has appealed to the Election Commission to issue a notice to Rajasthan Chief Minister Ashok Gehlot for allegedly saying that the saffron party backed Ram Nath Kovind for the presidency because of his caste. Gehlot has claimed that he was misquoted. The Election Commission has suspended the general observer of Sambalpur parliamentary constituency in Odisha until further orders, after a flying squad team in the region inspected Prime Minister Narendra Modi’s helicopter. Aam Aadmi Party leader Sanjay Singh said talks for an alliance with the Congress for the Lok Sabha elections in Delhi have been called off after the Congress refused the proposal for a tie-up in Haryana. Bhim Army chief Chandrashekhar Azad said he will not contest against Prime Minister Narendra Modi in the Varanasi Lok Sabha constituency. Azad’s statement was a U-turn from his decision last month to contest against the prime minister. The Congress pitched self-styled spiritual guru Acharya Pramod Krishnam as its Lucknow candidate for the Lok Sabha polls, a day after the Samajwadi Party fielded Shatrughan Sinha’s wife Poonam Sinha from there. Prime Minister Narendra Modi accused the Rahul Gandhi-led Congress of abusing him because he is “from a backward community”. 9.56 pm: The Election Commission suspends the general observer of Sambalpur parliamentary constituency in Odisha until further orders after a flying squad team in the region inspected Prime Minister Narendra Modi’s helicopter. 9.27 pm: The Bahujan Samaj Party has complained to the Election Commission about Uttar Pradesh Chief Minister Adityanath’s visit to temples in Ayodhya at a time when he is barred from campaigning, PTI reports. He also visited a Dalit family. 9.24 pm: The Himachal Pradesh chief electoral officer has issued a notice to the state BJP chief Satpal Singh Satti for making derogatory comments about Rahul Gandhi, reports ANI. CEO Himachal Pradesh issues notice to state Bharatiya Janata Party Chief for violating Model Code of Conduct, for allegedly making derogatory remarks against Congress President Rahul Gandhi at a public rally in Una district on 14th April. 8.52 pm: The Peoples Democratic Party too writes to the Chief Electoral Officer of Jammu and Kashmir over the withdrawal of security to its leaders and members. “This selective approach to basic security considerations amounts to fixing the election results through tactical rigging as our leaders and workers are being denied level playing field,” it says. The party asks the officer to ensure that favourtism is not allowed in the election process and that security is not used as a tool to influence or limit the activities. 8.50 pm: In a letter to the Election Commission, the National Conference claims that the decision to withdraw security cover to about 700 political leaders and workers in Jammu and Kashmir was politically motivated. The party claims the decision was taken at a meeting presided by state Chief Secretary BVR Subrahmanyam “who had no such mandate or locus standi to decide on issue which is exclusive domain of intelligence and security officers of the state and central government”. “The decision smacks of a conspiracy to sabotage election process and jeopardize the personal safety of political workers especially in the wake of reports that chief secretary and a few senior civil and police officers browbeat the district magistrate and SSPs who had favoured conduct of simultaneous elections in the state during their meeting with the Election Commission of India,” it says. 8.40 pm: The National Conference alleges that officers in Jammu and Kashmir were “strictly instructed” to oppose simultaneous Assembly elections with the General Elections. Top officers had threatened and intimidated a few officers who tried to approach the Election Commission regarding the matter, the party claims. “We see the continuation of such officers at the highest level a major hurdle in conduct of a free and fair elections in the state,” the party says in the letter to chief electoral officer of the state. 8.32 pm: An election officer has been killed in Phulbani in Kandhamal district of Odisha allegedly by Maoists on the eve of second phase elections of the Lok Sabha polls. In another incident, a poll vehicle was set ablaze in the same district, PTI quotes police as saying. 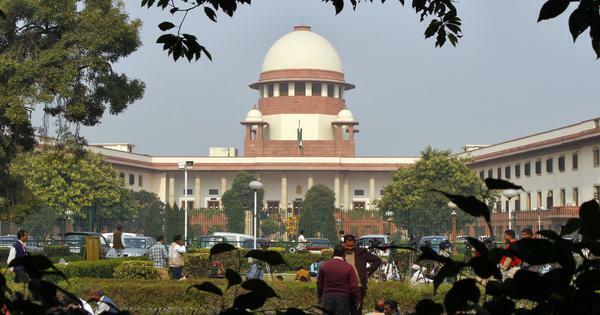 8.30 pm: A petition has been filed in the Supreme Court that seeks to restrain political parties from offering loan waivers and other monetary schemes in election manifestos, PTI reports. “The political parties whether in power or in opposition should not be allowed to manipulate public funds for their political motives to attract a section of mass voters or vote banks at the cost of public funds which belongs to country,” the petition says. 8.20 pm: Following a directive from the Election Commission, Twitter takes down two tweets by Uttar Pradesh Chief Minister Adityanath with communal overtures. The tweets posted on April 5 referred to the Indian Union Muslim League as a “green virus”. “This Tweet from @myogiadityanath has been withheld in India in response to a legal demand,” reads a message in place of the tweets. 8 pm: A Delhi court will hear on May 1 a plea seeking direction to the police to register an FIR against Bahujan Samaj Party chief Mayawati for allegedly hurting religious sentiments by comparing herself with Hindu deity Rama, PTI reports. The plea refers to her affidavit in Supreme Court saying if the Uttar Pradesh government can make a tall of Rama in Ayodhya by using government funds, then why can’t she make her own idol. “It is a clear cut pre-planned conspiracy for disrespecting a religion with a view to take undue advantage for polarisation and satisfying some other religion and she wanted to create disharmony between communities,” the plea says. 6.41 pm: At an election rally in Ahmedabad, Congress leader Navjot Singh Sidhu mocks the Narendra Modi government, says poor and hungry people are being asked to do yoga before they can open bank accounts. 6.14 pm: Maoists gunned down a polling officer in Odisha’s Kandhamal district on Wednesday morning when she was taking a team of election personnel to a booth, reports PTI. Sector Officer Sanjukta Digal was shot dead when she got down from the vehicle to check a suspicious object lying on the road while passing through a jungle, PTI quotes Director General of Policce BK Sharma as saying. 5.57 pm: The West Bengal Chief Electoral Officer’s office has asked the district magistrate of Nadia to submit a report after the BJP complained about state minister Ratna Ghosh Kar’s comment about central forces, ANI reports. On Tuesday, Kar was caught on camera asking people to chase away central forces deployed in the state with brooms. 5.47 pm: The Madras High Court has upheld the Election Commission of India’s decision to cancel the Lok Sabha election in Vellore, reports ANI. The court dismissed pleas filed by AIADMK candidate AC Shanmugam and independent candidate K Sugumar. The decision to rescind the polls was taken after cash worth crores was seized earlier this month. On Tuesday, President Ram Nath Kovind accepted the commission’s recommendation, dated April 14. 5.34 pm: A poll observer frisked Prime Minister Narendra Modi’s helicopter in Sambalpur, Odisha, on Tuesday in violation of protocol, The Times of India quotes state BJP leader Lekha Samantsinghar as saying. 5.28 pm: Earlier in the afternoon, Congress national spokesperson Priyanka Chaturvedi said she was “deeply saddened” after her party decided to reinstate eight leaders who had allegedly threatened her recently at a press conference. 5.17 pm: BJP President Amit Shah is addressing a rally in Dhenkanal in Odisha. “I would like to tell the chairperson of the Biju Janata Dal and the chief minister that if they think they can attack BJP workers and scare them, then Naveen babu [Naveen Patnaik] please listen to me loud and clear, BJP workers know how to respond to such attacks without resorting to violence,” he says. 5.06 pm: RJD leader and former Darbhanga MP Mohammad Ali Ashraf Fatmi has resigned from the primary membership of the party, PTI reports. Fatmi says he was hurt by Tejashwi Yadav’s reaction to his desire to contest the Lok Sabha elections from Madhubani. 4.35 pm: Malegaon blast accused Pragya Singh Thakur confirmed as the BJP’s candidate in Bhopal, ANI reports. She will contest against veteran Congress leader Digvijaya Singh. The party has also announced its candidates in Guna, Sagar and Vidisha. Earlier in the day, Gehlot reportedly said the BJP backed Ram Nath Kovind for the presidency because of his caste. 4.16 pm: A special screening Narendra Modi’s biopic for Election Commission officials is underway, reports ANI. The Supreme Court on Monday asked the poll body to watch PM Narendra Modi and reconsider its stance on staying the release of the film until the end of polling. 4 pm: Senior Congress leader Tariq Anwar has disapproved of Navjot Singh Sidhu’s appeal to Muslims in Bihar’s Katihar district to defeat the BJP. Tanwar, who represents Katihar in Parliament, says he would have stopped the Punjab minister from issuing the appeal had he been present at the rally on Tuesday, reports PTI. 3.55 pm: The Election Commmission has concluded that NaMo TV, which is sponsored by the BJP, cannot display “election matter” during the silence period before elections, PTI reports. Last week, the poll body barred the channel from telecasting recorded programmes with political content and political advertisements without certification from the Media Certification and Monitoring Committee. 3.32 pm: The BJP has moved the Election Commission, urging it to stop the release of West Bengal Chief Minister Mamata Banerjee’s biopic on May 3, reports News18. The makers of Baghini: Bengal Tigress, however, have claimed that the movie is not a biopic of Banerjee, but has been inspired by her “life struggle”. 3.18 pm: The AIADMK has approached the Election Commission, accusing DMK President MK Stalin of violating the model code of conduct, reports PTI. Stalin allegedly addressed the media during the “silence period”. It is an attempt at “indirect canvassing”, the ruling party in Tamil Nadu has said. The state goes to the polls on Thursday. 3.12 pm: The Congress has filed a first information report against Nagaland Deputy Chief Minister Y Patton for allegedly violating the model code of conduct during polls on April 11, reports PTI. The party has called for demanded at the Riphyim polling station in Patton’s home constituency in Wokha district. The Congress has accused him of “wearing a political party’s scarf, and criminal conduct of impersonation and forgery by indulging in proxy voting”. 3.09 pm: The NCP has said the Centre can carry out searches at the home of MNS chief Raj Thackeray, who is campaigning against the BJP, after the saffron party asked who would incur expenses for the rallies addressed by Thackeray, PTI reports. The MNS is not contesting the elections. 3.03 pm: BJP President Amit Shah lashes out at Mamata Banerjee after the saffron party’s West Bengal unit tweeted a video of state minister Ratna Ghosh Kar allegedly provoking Trinamool workers to attack central forces on poll duty. In the video, Kar is heard telling party workers that they should “chase away central forces with brooms”, NDTV reports. 2.41 pm: Chhattisgarh BJP President Vikram Usendi has criticised state Minister Kawasi Lakhma for attempting to intimidate voters. Lakhma misled voters by giving them wrong information on voting machines, Useni says. 2.31 pm: The Congress government in Rajasthan has sacked one of its counsels in the Supreme Court after it came to light that she was the advocate on record in a contempt plea filed against Rahul Gandhi by BJP MP Meenakshi Lekhi on the Rafale deal, reports PTI. The top court issued a notice to Gandhi on Monday. 1.45 pm: The BJP has appealed to the Election Commission to issue a notice to Rajasthan Chief Minister Ashok Gehlot for allegedly making critical remarks about President Ram Nath Kovind. The poll body should also issue a directive asking political parties to not make such remarks about the president. 1.28 pm: The Election Commission has asked Chhattisgarh MLA Kawasi Lakhma to explain why he told voters at a public meeting that they will feel an “electric shock” if they press any button other than that of the Congress candidate on the Electronic Voting Machine, reports NDTV. He made the comment at a public meeting in Kanker district. 1.07 pm: Researchers from Lokniti-CSDS working on a post-poll survey in Sikkim have been detained by the police on the basis of complaints by political workers, the researcher institute says. 12.59 pm: Defence spokesperson Colonel Rajesh Kalia says authorities are conducting inquiries after Duroo Sub-divisional Magistrate Ghulam Rasool Wani accused Army personnel of assaulting him and four of his subordinates while they were on election duty. The alleged incident occurred in the Srinagar-Qazigund area. Kulgam Superintendent of Police Gurinderpal Singh confirmed that a case has been registered. However, several local reports claimed that a first information report is yet to be filed. 12.53 pm: Pragya Singh Thakur, an accused in the 2008 Malegaon blast case who is out on bail, says she has joined the BJP and will contest the elections, reports ANI. She may be pitted against Congress leader Digvijaya Singh in Bhopal, say reports. 12.40 pm: Congress leader and former Union minister P Chidambaram has accused the Income Tax department of taking “autocratic and partial” action in Tamil Nadu, PTI reports. The state goes to the polls on Thursday. This comes a day after Income Tax personnel searched a house in Thoothukudi where DMK leader Kanimozhi had been staying since the start of her poll campaign. However, officials did not find anything and later said the search was based on a “false tip”. The tax department, however, seized Rs 1.48 crore in cash from a functionary of TTV Dhinakaran-led Amma Makkal Munnetra Kazhagam in Theni district during an overnight raid. 12.29 pm: The Election Commission has appointed former Bihar Chief Electoral Officer Ajay V Nayak special observer for West Bengal, PTI reports. He will oversee the last five phases of polling. 11.51 am: Pragya Singh Thakur arrives at the BJP office in Bhopal, reports ANI. She is likely to meet senior leaders Shivraj Singh Chouhan, Ramlal and Prabhat Jha. 11.49 am: Congress President Rahul Gandhi attends coordination meeting of three parliamentary constituencies of Kannur, Kasaragod and Vadakara. 10.59 am: Congress President Rahul Gandhi will address a rally in his second constituency – Wayanad. He will also cover Kannur, Kozhikode, Wandoor and Palakkad, reports News18. 10.46 am: Naorem Praveen, the returning officer of Inner Manipur Parliamentary constituency, issues show-cause notice to the chief minister’s personal secretary Salam Ranjan Singh, demanding an explanation for alleged violation of the Election Code of Conduct, reports Imphal Free Press. Singh has been asked to respond by 4 pm on Wednesday. Chief Minister N Biren Singh allegedly made defamatory remarks about Congress candidate O Nabakishore Singh. 10.43 am: Assam minister Bubul Das and around 100 others from various youth and students organisations join the Congress, reports The Telegraph. Das left the Asom Gana Parishad to protest against the party’s alliance with the BJP. 10.33 am: Prime Minister Narendra Modi will address a rally in Akluj in Madha Lok Sabha constituency in Maharashtra. He will also address rallies in Himatnagar, Surendranagar and Anand. 10.32 am: Congress President Rahul Gandhi offers prayer at the Thirunelli temple in Kerala. 9.43 am: Addressing a rally in Agra on Tuesday, Samajwadi Party chief Akhilesh Yadav hits out at Prime Minister Narendra Modi for calling the SP-BSP-RLD alliance “mahamilawat”. “If an alliance of three parties is ‘mahamilawat’ then we want to ask them, what do we call your alliance which has 38 parties from across the country? Do suggest us a name,” says Yadav. 9.41 am: Suheldev Bhartiya Samaj Party, an ally of the BJP in Uttar Pradesh, will contest on 39 Lok Sabha seats separately. It fields candidates against Prime Minister Narendra Modi in Varanasi and Home Minister Rajnath Singh in Lucknow. 9.31 am: An MNS activist moves a Pune court seeking that a case be filed against Union minister Smriti Irani for allegedly giving false information about her educational qualification in her poll affidavits, reports PTI. 9.27 am: Official seize nearly Rs 1.5 crore in cash from TTV Dhinakaran’s partyman in Tamil Nadu’s Andipatti, reports NDTV. Bye-polls in Andipatti is on Thursday. On Tuesday night when the search operation was under way, the police opened fire in the air to disperse Amma Makkal Munnetra Kazhagam supporters, reports the Hindustan Times. No one was injured in the firing. 9.15 am: The Congress names Acharya Pramod Krishnam from the Lucknow Lok Sabha seat, PTI reported on Tuesday. He will contest against Home Minister Rajnath Singh. 9.13 am: Union Minister of State Rajyavardhan Singh Rathore declares 15 rifles worth Rs 9 lakh as his assets in his poll affidavit, reports IANS. Princess of Jaipur Diya Kumari, the BJP’s candidate from Rajsamand, says she owns jewellery worth Rs 64.89 lakh. Jhalawar-Baran MP Dushyant Singh declares having five vintage Rolls-Royce cars while Congress nominee Riju Jhunjhunwala says he has paintings and artefacts worth Rs 16 lakh. 9 am: Sitharaman tells ANI that no country has questioned India on the Balakot airstrike. 8.57 am: The defence minister says she agrees with the sentiment expressed in the letter but adds why the government should not speak about actions taken because of political. 8.55 am: On the letter by armed forces veterans to the president, Sitharaman says that during election time all need to be conscious that questions of credibility are not raised. “In the letter even if one individual says, ‘I haven’t signed it’, my worry is that credibility of whole appeal is lost,” she adds. Last week, more than 150 veterans of the Indian armed forces reportedly wrote to Ram Nath Kovind urging him to stop the politicisation of the military in the run-up to the Lok Sabha elections. However, a few of the signatories later denied endorsing the letter. 8.28 am: Sitharaman says politicians should be conscious somewhere. “Is that what is going to be the legacy we leave for the next generation?” she asks. 8.23 am: Defence Minister Nirmala Sitharaman tells ANI that politicians need to respect one another. “I am of the strong view that we can be firm and tough in talking about ideologies, but at the end, ultimately we have to respect one another and somewhere draw a line,” she adds. 8.20 am: Income Tax personnel, who searched a house in Thoothukudi where DMK Lok Sabha candidate Kanimozhi has been staying since the start of her poll campaign, drew a blank. Unidentified tax officials tell NDTV that it was a “false tip”. Kanimozhi says the raids were conducted to intimidate her. “The Election Commission and Income Tax department have become part of the Modi alliance… They are trying to terrorise opposition parties,” she says.